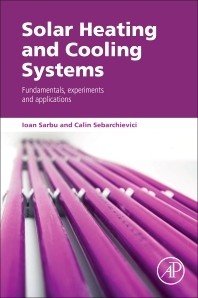 Ioan Sarbu is a professor and head of the Department of Building Services Engineering at the Polytechnic University of Timisoara, Romania. 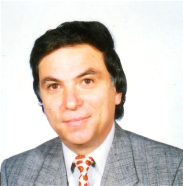 He obtained a diploma in Civil engineering from the “TraianVuia” Polytechnic Institute of Timisoara in 1975 and a Ph.D. degree in Civil engineering from the Timisoara Technical University in 1993. His main research interests are related to refrigeration systems and heat pumps. He is also active in the field of solar energy conversion, water distribution systems and numerical simulations and optimizations in building services. He has published books, chapters, and numerous articles in indexed journals and proceedings of international conferences. He is also author of five patent certificates and of up to twenty computer programs. Calin Sebarchievici is a lecturer of the Building Services Engineering Department at the Polytechnic University of Timisoara, Romania. He obtained a diploma in Building services engineering and a Ph.D. degree in Civil engineering from the Polytechnic University of Timisoara in 2003 and 2013, respectively. His research is focused on heat pumps, refrigeration systems and solar energy conversion. He is co-author of some books, chapters, and journal and conference proceeding articles. The subject matter covered in the book is excellent. I highly recommend it.